Booze, failed relationships, prison, mothers and pets are the staple of country songs and our Editor’s self penned song, ‘Your momma dumped me when I got drunk and f**ked the jailhouse dog’ served only to get him kicked off The X Factor. 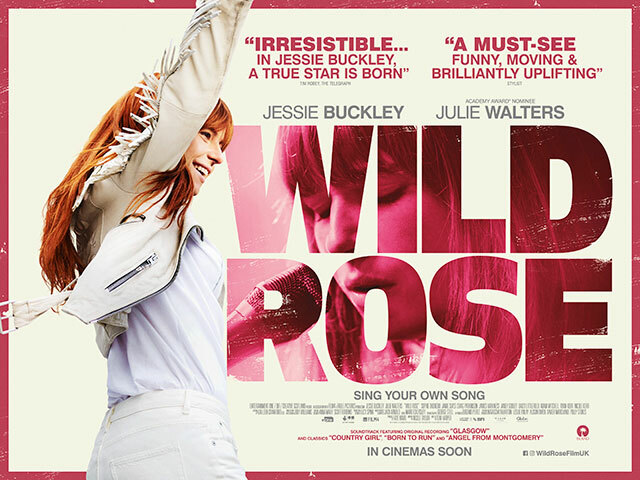 But it does serve as an initial template for Wild Rose with Rose (Jessie Buckley) being released from a Glasgow prison with all the other lags cheering her on to a successful career as a country singer. Rose is a single mother with two children who have been looked after by her mother Marion (Julie Walters) whilst she’s served her sentence it’s little wonder that Rose’s daughter is estranged and barely raises her eyes to look at her returning mother giving the sort of contemptuous look that the pubic give politician’s when the latest Brexit balls up is announce. It a strained relationship that Marion has with her daughter who is intent on pursuing a career as a country singer telling all and sundry that she should have been born in Nashville – it’s the sort of delusional claim that the muddle headed and misguided trot out at their X factor audition only to burst into a cacophony of song that has every dog in a square mile radius throwing themselves in front of cars. However here Rose has a voice, a really great voice yet she no longer has anywhere to perform with the Glasgow club residency having replaced her and her old band now playing for another act. 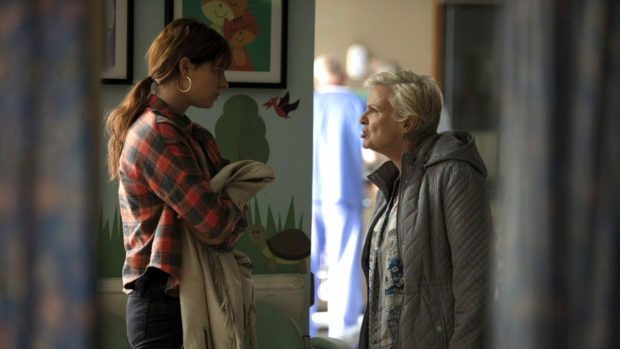 It’s Marion who like any decent grandmother wants the best for her grandchildren and admonishes Rose who reluctantly takes a job as a cleaner for a well to do housewife (Sophie Okonedo) who, once she hears Rose singing round the house, is keen to nurture Rose’s talent and which Rose eventually takes advantage of regardless of her children. It’s for this reason that it’s difficult to sympathize with her when she puts her own ambition over the welfare of her children. 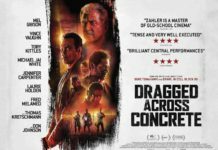 But Jessie Buckley is great in the role and totally inhabits the character with a killer voice and a script that has her torn between what she perceives is her destiny and the wellbeing of her children and there are some easily prompted teary eyed moments. 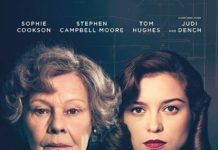 The national treasure that is Julie Walters is as good as ever and for once its good to see a black female role that is well to do than stereotypically ‘urban’. Wild Rose from the start seems destined to follow a well worn template for this type of struggling artist against the odds as Wild Rose seems incapable of anything except snatching defeat from the jaws of victory whenever she’s given an opportunity so when she finally gets the money to get to Nashville that this turn out not to be a by the numbers story. After the disappointment of The Woman in Black 2 the BAFTA nominated director Tom Harper went onto make TV series ‘War & Peace’ and Wild Rose continues the human drama that he is so good with. Originally titled ‘Country Music‘ Wild Rose gives a glimpse into the scene and it’s all in the lyrics where Wild Rose comes up smelling of…… well, roses. Here’s the Wild Rose trailer……..